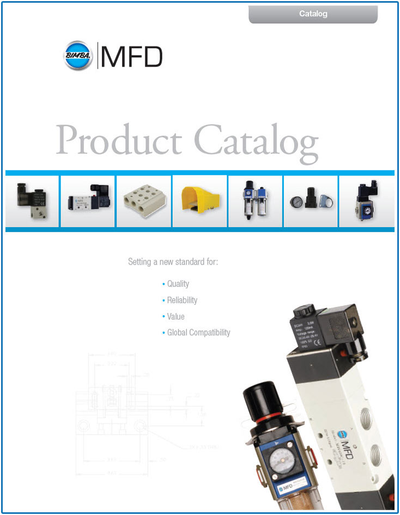 MFD Pneumatics is your single source for quality fluid power components. We offer a full line of low cost control valves, FRL’s and cylinder products. You can expect quality products with “fit and finish” that is uncommon in the industry. We provide an extensive fluid power distributor network, exceptional customer service and technical support. Pneumatic Application? Contact Us Today!